Get a comprehensive overview of the performance of ECS clusters. 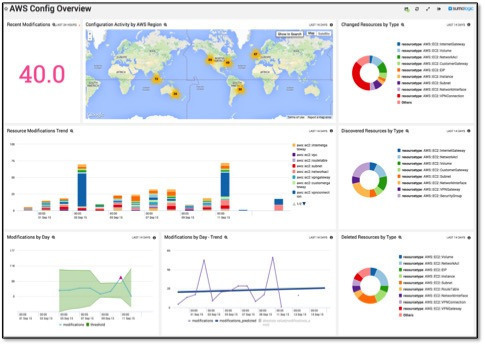 Data visualizations provide a completely new way to analyze your AWS logs. Custom dashboards detail alerts and events in easy-to-read formats. 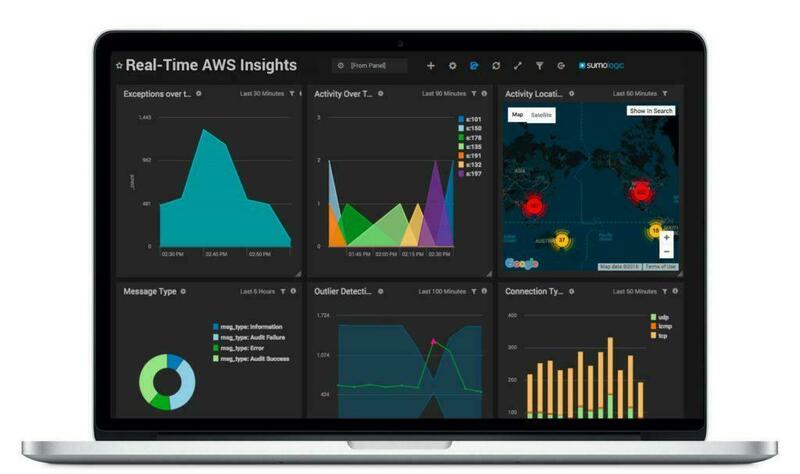 Analyze and monitor AWS performance in real-time, identify issues, and expedite root-cause analysis across cloud-based, hybrid, and on-premise infrastructures. Monitor user access, platform configurations, changes, and all other logs in all AWS environments, and generate audit trails to demonstrate compliance. Amazon ECS is an efficient, quick, and reusable method to set up and scale a cluster of AWS Elastic Compute Cloud (EC2) instances. EC2 is an AWS service that allows users to host applications on the cloud by spawning virtual servers. EC2 instances are inexpensive and easy to scale up or down as needed. However, managing these clusters is not straightforward if administrators do not have prior experience. ECS helps overcomes this challenge. It is designed as a container management service that uses docker containers as building blocks to manage EC2 clusters. It also integrates with Elastic Load Balancing, Virtual Private Clouds, and other AWS services, leveraging their benefits as well. The steps involved to use the Sumo Logic app for real-time analysis of ECS data are simple and straightforward. First, the Sumo Logic app needs to be installed. After the installation, metrics collection involves configuring a hosted collector and an Amazon CloudWatch Source for Metrics. Further, you can pick the specific instances to gather data from. For events, you need to configure an AWS CloudTrail Source in your AWS account, after which you can select the required S3 region and buckets. While there is a separate Sumo Logic app for AWS CloudTrail that enables log management and analysis, in this case, you need to configure the CloudTrail source inside the ECS app. Once these basic steps are complete, the app is ready to start receiving data from the ECS. The dashboards in the app tap into Amazon CloudWatch and CloudTrail sources, configured to extract data from and provide visibility into the specific ECS environments. The metrics are displayed as graphical panels displaying information charted over a period of time. Overview information such as cluster count, service count, count of services by cluster, and average CPU and memory utilization by service name. These are displayed on a timeline spanning either the last 15 minutes or the last six hours. Cluster specific information such as CPU reservation (percentage of CPU units reserved by running services in the cluster) and memory reservation (percentage of memory reserved by running services in the cluster). The panels display this data collected during the last 24 hours. CPU and memory utilization details classified by service, cluster, and both service and cluster, displayed over a timeline of the last 24 hours. Event-specific information such as events by type or over time. See the full documentation on Amazon ECS, and start optimizing the install today.